Boston, MA averages 33° F in winter. You need a well-insulated garage door to keep the heat inside and the cold out. There's no better way to understand the quality of our products than to watch them being tested against others in a lab. Your door is only as good as its installation. That’s why GARAGA offers its customers a network of certified installers. From Framingham, MA to Natick, MA, to Waltham, MA, to Burlington, MA, you can benefit from over 63 years of combined experience with GARAGA products. 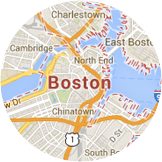 What other customers from Boston area say about Garaga? Very prompt response for initial quote and felt that product was excellent and estimator was very professional. Good product, competitive price. Price. Knowledgeable sales person. We felt it was a quality door. The sales department is great. Quality doors! I was very happy with the service. I found the work team easy to work with and helpful. They were able to accommodate my short time frame and fully install the doors. S & S Overhead Door Co.
Read more on S & S Overhead Door Co. According to a cost-value study made by the magazine “Remodeling”, midrange projects to replace a garage door cost on average $1,703 in Boston. In fact, houses in Boston, MA recoup an average of 64.4% of their garage door cost when they are sold. As for upscale projects to replace garage doors, their average cost is $2,980, but in this case, you get a 13.4% better return as you recoup 77.8% of your cost when you resell your home. Top 2 most popular door models in Boston, MA: Acadia 138 and Standard+. 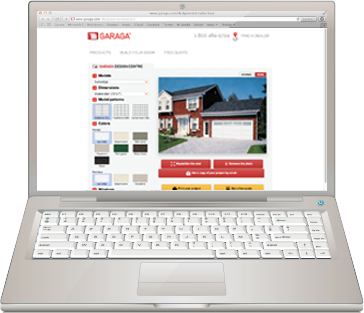 The GARAGA garage door specialists in the Boston, MA area have honed their knowledge of garage doors and are familiar with the region’s climate and architectural style. Therefore, they are able to provide you with the best advice according to your preferences and specific needs, all the while preserving the unique flair of the area. When the time comes to choose a residential garage door, leave it to specialists in the field. They will guide you through the various things you need to consider in making your purchase. For example, you have to determine the type of use you’ll make of your garage and its position relative to the house. Then, you need to determine the level of insulation required, the type of door opener, as well as any accessories and security system. And, of course, all the decorative elements of the door also have to be determined, such as your choice of design, color, texture, windows, and hardware. LiftMaster is the number one door opener brand. 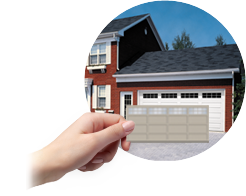 Garage door specialists in the Boston area trust it for several reasons. LiftMaster, from The Chamberlain Group, has been in the industry for a long time. The quality and reliability of their products reflects their expertise. Their garage door openers are very durable, as garage door professionals can regularly witness. LiftMaster door openers are easy to use and can fit anyone’s specific needs. For example, if there’s a bedroom directly above the garage, a quiet door opener is preferable. They also work with every type of door. Also, the brand offers a wide range of accessories to safely manage the use of your garage door. Finally, installation of a garage door by trained technicians and frequent inspections help ensure optimal performance from a garage door system. It will be more efficient, more durable, and safer. 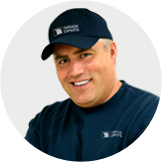 Professionals in the Boston, MA area work carefully, performing installation, repair, and maintenance work on residential and commercial garage doors. 10. Continue onto MA‑16 E / Mt Auburn St. Turn left onto Winn St.